To aid you in your shopping in 2010, I’ve decided to compile a new list for shopping advice- that is, a collection of stores you’d normally run into in an American mall, with commentary and critique to prepare you if you go shopping now or in the future. As a disclaimer, please note this is by no means comprehensive- however, I’m trying to hit the “big” stores (as in, the ones you’d see the most often in your average mall)- so the list is by no means comprehensive, but potentially helpful nonetheless. The Breakdown:Old Navy is becoming increasingly popular as the economy dips, and will probably grow in popularity in 2010. 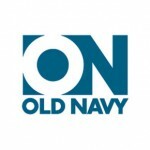 Old Navy is best where it is simple- that is, the best Old Navy clothing is the basics, including t-shirts, underwear, socks, and the like. Unfortunately, like any Gap brand, Old Navy suffers from over sizing to the point of almost being ridiculous- meaning finding good fits is ironically harder than at more expensive retailers. Additionally, the brand is seemingly stuck in the fashion of years ago, re-branding old styles (baggy shorts, graphic tees, etc) that weren’t wonderful in the first place. Nonetheless, given the ridiculously cheap pricing on some decent clothing, don’t entirely ignore Old Navy- but don’t rely on it for any sort of serious outfit creation. 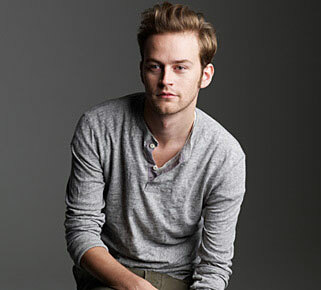 Recommended: Men’s Classic V-Neck Tees, $8.50/ea. A decent purchase in enough colors and basic enough to be paired with a variety of outfits. Not Recommended: Anything close to their attempts to be a “surf-wear” brand- including but not limited to their board shorts, graphic hoodies, baggy shorts, etc. 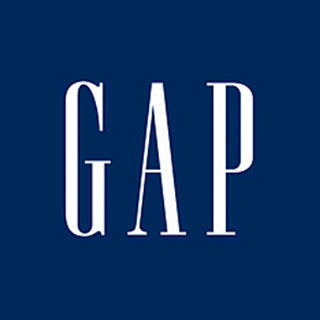 The Breakdown: The Gap is one of the closest things to a basic American retailer- being neither remarkably exciting nor boring, neither expensive nor cheap, the Gap seems to fill in that “middle tier” that is an increasingly small field in the fashion world. Because of this, The Gap is a mixed bag- on some occasions, their clothing is remarkably good and worth every penny, whereas other times their clothing isn’t worth the textiles they are made with. Ultimately, The Gap is a good choice for any shopping trip, just one that should be handled gingerly. Like its little brother Old Navy, The Gap should be your source for basics. Recommended: Shawl collar cotton sweater, $69.50. Kent houndstooth clean pants, $49.99. Fitted Aubrey plaid shirt, $34.99 (or similar flannel). Not Recommended: While occasionally good, some Gap coats and blazers tend to be very cheap- be careful. 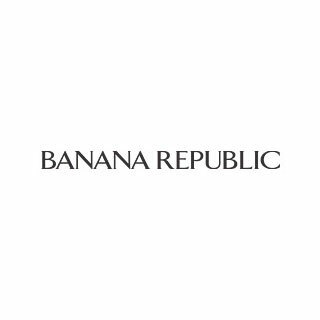 The Breakdown: Banana Republic holds the dubious honor of being the most respectable Gap brand, as it is what one may consider a competing brand to more fashionable/expensive brands like J.Crew. 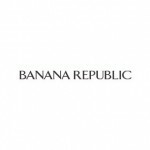 Banana Republic focuses predominantly on more formal and adult clothing and suiting, which makes it a great brand for the fashion forward, though it suffers from increasingly becoming a very bland and sometimes overpriced brand. Though I used to absolutely adore and incessantly recommend this brand, I have become very cautious of the brand, especially as the sizes seem to be increasing- again, be careful. Recommended: Tonal stripe tie, $49.50. Silk/cotton solid v-neck sweater, $59.50. Virtually anything from the Monogram Collection. Not Recommended: Purchasing anything without trying it on. BR’s sizing has ballooned ridiculously, meaning the fit is becoming baggy and quite ugly. Tread carefully. The Breakdown: At its best, Express is a brand much akin to Banana Republic, featuring wonderful suiting and great semi-formal attire. At its worst, Express is unfortunately the progenitor of what many call stereotypical “metrosexual” wear- that is, overdesigned, horribly trashy clothing. My advice with Express is fairly simple- if the clothing fits you well, try to buy it on sale, when it becomes arguably much more worth the money (Express is often slightly more expensive than it is worth). Express sale racks are treasure troves. Be warned, however- Express shirts often contain spandex, which requires serious ironing. Recommended: Fitted 1MX Shirt, $49.50. MK2 Fitted Stretch Cotton Military Shirt, $59.50. Not Recommended: Tees, some polos, outerwear, and anything with the word “Graphic” in the title. The Breakdown: When Banana Republic and I had a nasty break-up, I turned to J.Crew, which has now gone from pretty good to absolutely awesome (arguably due to some nice GQ coverage). J.Crew is the absolute bomb when it comes to suiting, formal wear, and even some casual wear- and though they still suffer sometimes from offering somewhat bland offerings, J.Crew has (in my mind) drastically improved their offerings across the board. The one thing that may limit them is simply their offerings in their stores- some physical stores are loaded with goodies, whereas others seem sparse and somewhat boring. Recommended: Red Wing Iron Ranger boots, $298. ANYTHING from the Suiting section. Secret Wash button-down shirt in faded gingham, $59.50. Cotton-cashmere cardigan, $69.50. Not Recommended: Avoid their baggier fare and their shorts- neither tend to be particularly flattering. The Breakdown: 50% good quality basics, 50% insane hipster trash. American Apparel does the very basics very well- it’s incredibly difficult to beat the quality of their shirts, henleys, and the like. However, American Apparel has a hipster dark side, and it makes them come out with some of the stupidest stuff you’ve ever seen. You might even feel awkward walking into a store- but trust me, there’s good stuff inside, hidden behind all of the irony. Recommended: 2456 Fine Jersey Short Sleeve V-Neck, $19. T457 Baby Thermal Long Sleeve Henley, $24. Not Recommended: If you think the person behind the counter would wear it, do not buy it. The Breakdown: Most in the US have heard of Abercrombie & Fitch, the big California-slash-Miami retailer that sells the “Abercrombie” look- tight muscle tees, baggy pants, and generally “beach” clothing. As it was last year, and will be this year, Abercrombie is tired, and it is seemingly having trouble with sales given the company’s lack of new material, not to mention the economy impoverishing a large percentage of Abercrombie’s consumer base. I should be paid for the number of times I have entered this smelly store for this website. Recommended: Simmons Pond (Military shirt in green drab), $50. The Redfield Wax Jacket, $149.50. Not Recommended: Their swimwear, graphic tees, polos, faded jeans, sandals, etc etc. The Breakdown: A horrible retailer seemingly trying to emulate Abercrombie & Fitch that nonetheless can come out with some absolutely positively decent pieces at random with no prior warning, sending all of us fashion kids home to crawl in our closets and shudder, wondering if our taste has gone poor. American Eagle’s shirt and “basics” offerings are decent at best- the quality is what one might expect at the price point: generally equal to the Gap or a similar brand. That being said, go inside, but expect one good thing out of 100 bad things, unless you’re quite lenient. Recommended: AE Classic Wingtip, $59.50. Eagle Premium Striped Shirt, $49.50. AE Vintage Cabin Boot, $89.50. Anything basic, pending it fits well. Not Recommended: Anything not very basic. The Breakdown: Once a really Eurotrash brand. Still a really Eurotrash brand. Occasionally decent, but otherwise very outlandish and sometimes absolutely ridiculous. Armani Exchange seemingly dives into strange self-created fashion trends independent of any sort of normal fashion trends- not entirely a bad thing by any means, but certainly strange. Expect a lot of things one might expect a strange clubgoer to wear. Not entirely a store you ever need to visit to be fashionable, but okay for a look. Recommended: Textured Stripe Shirt, $79 (the closest thing I could find to a basic article of clothing, though admittedly overpriced). Not Recommended: Pretty much everything the store carries. The Breakdown: Kenneth Cole is really best known for their shoe offerings, but they also tend to have some pretty decent clothing as well, depending on your style and taste. I like to consider Kenneth Cole the store to find “city fashion” in- that is, darker colors, slimmer cuts, more adult fare, and the like. Kenneth Cole is not entirely a perfect brand by any means- I personally find some of their clothing and shoes to be somewhat cheap and boring, though some articles of clothing are pretty nice. Recommended: Two-Button Hacking Notch Jacket, $198. Some shoe offerings. Not Recommended: Most shoe offerings- avoid anything with a square toe, fake design, or strange look. The Breakdown: Really, Guess is a jeans brand, just one that has (like many others) expanded out. Like Armani, however, they tend to try to overdesign their clothing, which can result in some truly atrocious designs best left for those odd enough to purchase them. Guess jeans are a mixed bag, at least so far as I have seen- though many love them for their supposed quality and texture, many find them to be a little bit too expensive for their worth as well as overdone- it’s really a personal preference thing. Stick to Guess’ jeans and similar offerings, which seem to be safer and better quality overall. Recommended: If it fits you well and you like the slightly more rock style, Guess Denim. Not Recommended: With only a few exceptions, everything else. The Breakdown: Buckle is an amalgamation of “surf” and “skater” brands- meaning, as you might imagine, the store is quickly aging in the world of fashion. While advancing somewhat and picking up on new trends, the brand nonetheless is still stuck in the mid-’00s, a problem they seem unlikely to solve. As a general rule, it’s unlikely you will find much here that’s distinctly fashionable. Honestly, I predict Buckle will eventually (but slowly) fade away in the next 10 years unless the brand makes a large jump towards something more stylish- I highly doubt that many people will want surf/skate brands as much as they do now. Recommended: I have absolutely no idea. The Breakdown: Much like Buckle, UO is an amalgamation of different brands- except in this case, UO is a little bit more toward the current fashion trends. UO balances the precarious line between normal clothing and American Apparel-esque hipster crap. With that being said, I tend to smile on UO more than I frown, though admittedly some of their clothing is absolutely horrible. When shopping at UO, try to avoid going for the super-trendy and effeminate gear they sometimes try to sell- look for their better deals, which are the great fitting shirts, coats, and sometimes pants. UO also carries a wonderful selection of skinny Levis, if they fit you well. Recommended: BDG Professor Shawl Collar Cardigan, $48. Levis 511 Skinny Trouser, $54. Not Recommended: Most of their “experimental” clothing, including their very baggy sweaters/cardigans, their super-skinny oddly fitting pants, and the like. The Breakdown: Ralph Lauren continues to be the quintessential American brand- polo shirts, sporty clothing, the works. Really, Ralph Lauren doesn’t change much from year to year- their style remains the same, and though they often change their offerings, the vast majority of it is still as sporty, somewhat preppy, and generally well made as ever. Recommended: Really, most of everything- the polos, the shirts, the pants, etc- pending it fits well and is somewhat classic. Not Recommended: Most of anything in Ralph Lauren’s cheaper lines such as “Lauren” and “American Living”, which are not as well made and generally somewhat uglier. The Breakdown: Brooks is more of your grandfather’s suiting store than your father’s- it’s that old. That being said, Brooks does suiting well- they are, in my opinion, the upper tier of suiting, pending you can tailor them after purchase. Thom Brown’s work with Brooks- the Black Fleece line- is even better. That being said, Brooks is oldschool to a fault, a fact which means 95% of their clothing is anything but trendy, and often is aimed more towards older working men than you. While the quality is superior (and, in my opinion, worth the price), it’s sometimes hard to find what you’re looking for. Recommended: Anything reasonable in the Black Fleece line. Most suiting, pending it fits right. Not Recommended: Brooks’ ascots, frumpy sweaters, etc. Another good, thorough shopping guide Kirk. One more store I’d like to add: H&M, if it’s in your area, might have some decent deals on quality clothing. They were good last year when I was able to go to a few, but I no longer live near one and can’t comment on their 2010 lineup. Also, for the other frugal anonymous, there are the options of Gordmans, Burlington Coat Factory, and TJ Maxx. They all tend to carry the throwaway fashions of the major chains, but this can mean good deals on quality jeans or basics. Anyone know of a similar guide of more relevance to the UK dweller? Buckle also sells those douchey, toolbag printed button shirts with the studs and other guido/club accessories. The only redeeming quality there, IMO, are their leather shoes and sandals. Aside from that it can go to hell. This is Thom Brown’s line with BB – NOT Tom Ford. Crap, I didn’t even pick up on that, I should have known better. Fixed — thanks for letting me know!